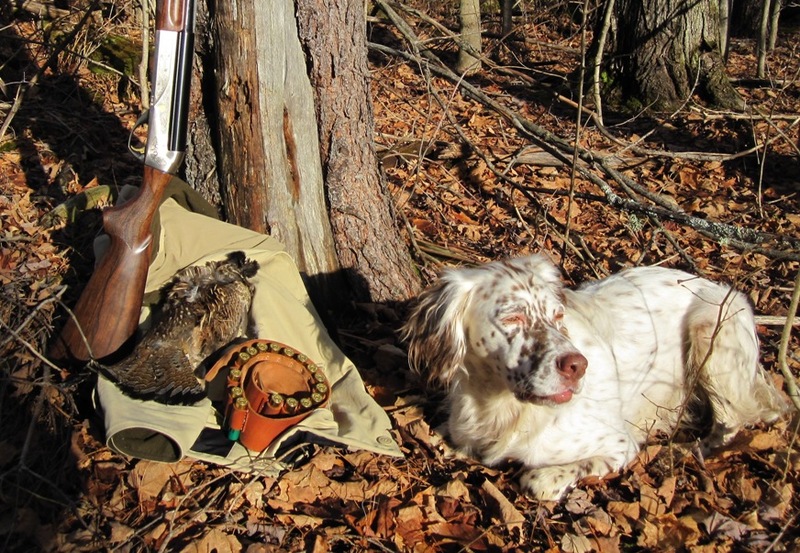 AGS offers Upland Hunting for Ruffed Grouse (Pa'tridge) and Woodcock in some of the finest coverts in the Northeast. 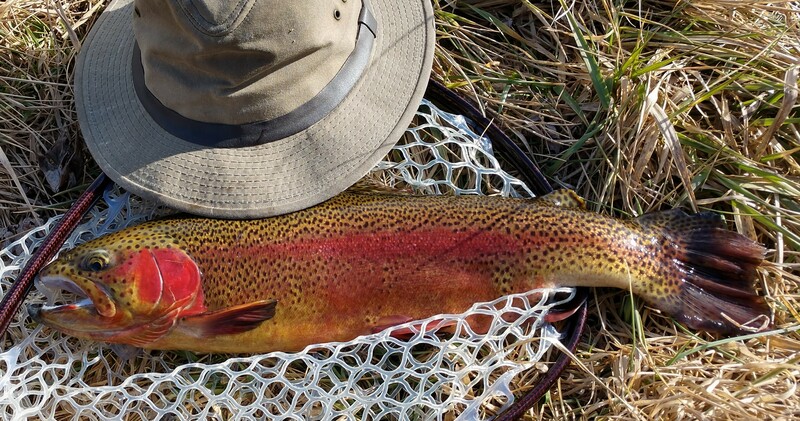 Fall is not only the most beautiful time of the year; it is also the most exciting for the outdoor sportsmen and women. The animal kingdom comes alive in the fall as they begin preparations for the upcoming winter. Food is the name of the game. 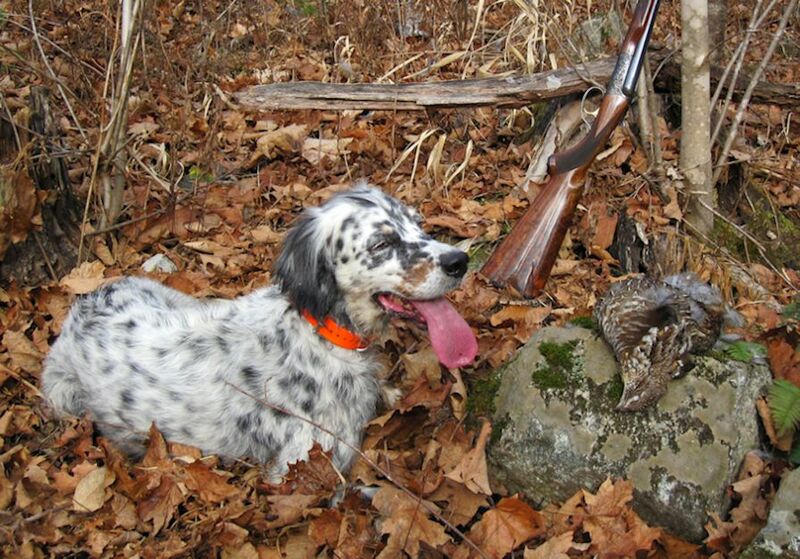 Young of the year Ruffed Grouse are dispersing, finding new areas for food and security. Woodcock flights are coming through and these unique looking birds - beautiful in their own right - feed heavily along the way. Hopefully you tuned up your shooting technique with some practice on clay targets over the summer. Not that it's going to help that much when it comes to hitting those zig-zag-zoomin' Timberdoodles. Hunt successional growth covers containing aspen, oak, hickory and beech along with apple, cherry, dogwood, sundry berries and plenty of young conifers for security. 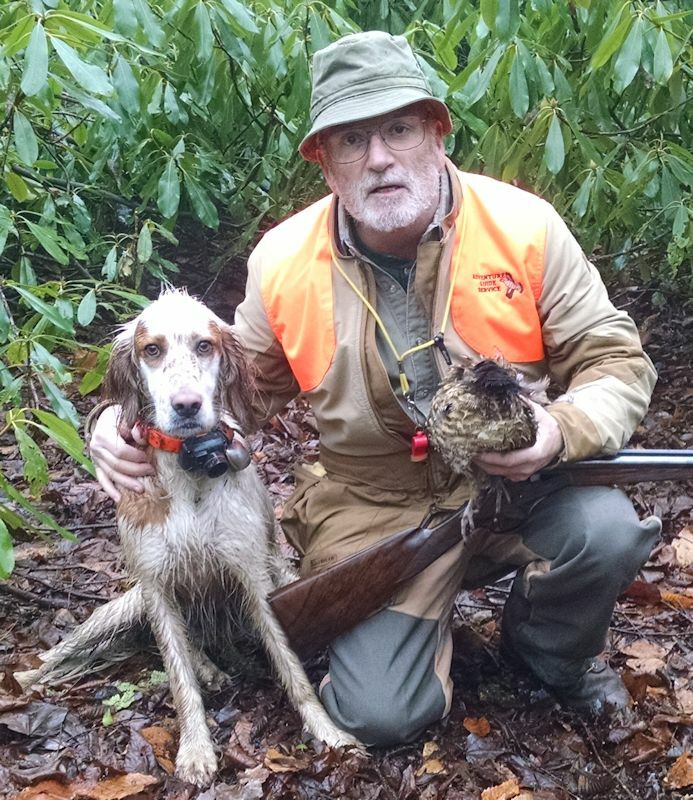 Covers right out of Spiller's "Grouse Feathers" and Harnden Foster's "New England Grouse Shooting". Scenery reminiscent of a Schaldach print or a Lynn Bogue Hunt sketch. 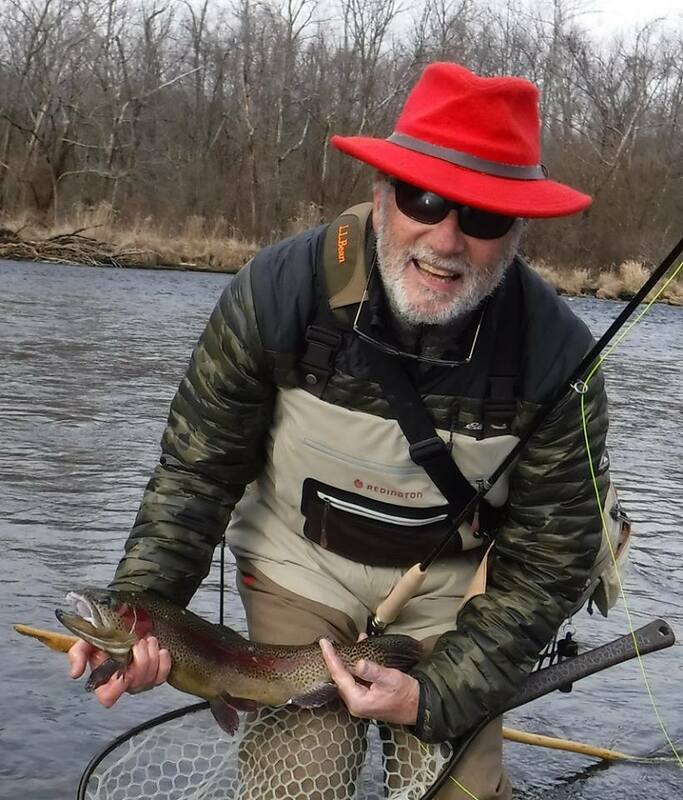 It all comes together with great habitat and beautiful scenery in the Lake Champlain Valley. 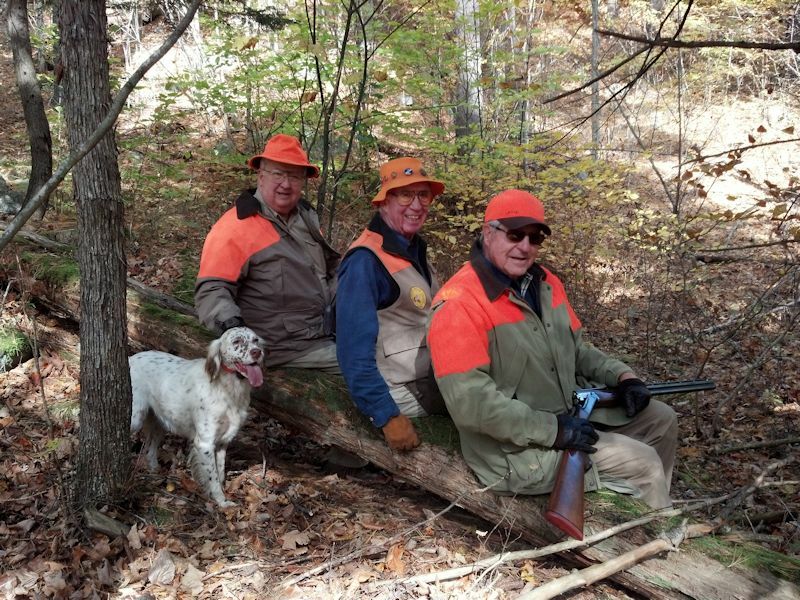 Bill, Mike & Dewey (and Sydney) take a break from the hunt. 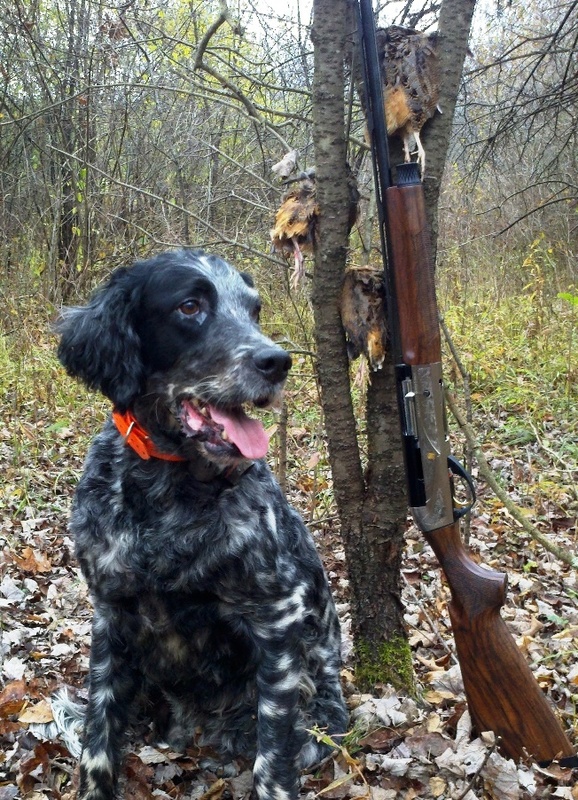 Zane worked hard for this Appalachian Ruffed Grouse.